Sally has returned as an amazing resin bust! This detailed bust features Sally holding a rose surrounded by Halloween Town's tombstones. 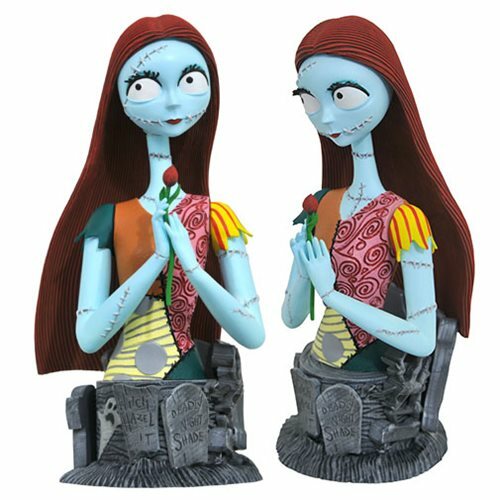 Pair Sally with the Jack Resin Bust for a perfect match (sold separately). Limited edition of only 3,000 pieces. Ages 13 and up.